From the award-winning author of Five Star Billionaire and The Harmony Silk Factory comes a whirlwind personal history of modern Asia, as told through his Malaysian and Chinese heritage. 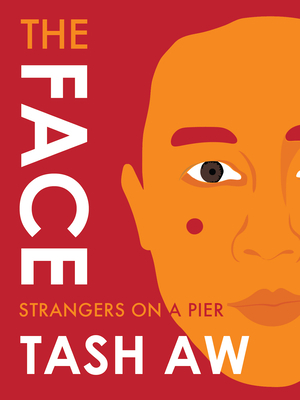 In The Face: Strangers on a Pier, acclaimed author Tash Aw explores the panoramic cultural vitality of modern Asia through his own complicated family story of migration and adaptation, which is reflected in his own face. From a taxi ride in present-day Bangkok, to eating Kentucky Fried Chicken in 1980s Kuala Lumpur, to his grandfathers’ treacherous boat journeys to Malaysia from mainland China in the 1920s, Aw weaves together stories of insiders and outsiders, images from rural villages to megacity night clubs, and voices in a dizzying variety of languages, dialects, and slangs, to create an intricate and astoundingly vivid portrait of a place caught between the fast-approaching future and a past that won’t let go. Born in Taipei to Malaysian parents, Tash Aw grew up in Kuala Lumpur before moving to Britain to attend university. He is the author of three critically acclaimed novels, The Harmony Silk Factory (2005), Map of the Invisible World (2009), and Five Star Billionaire (2013), which have won the Whitbread First Novel Award, a regional Commonwealth Writers' Prize, and twice been longlisted for the Man Booker prize; they have also been translated into twenty-three languages. His short fiction has won an O. Henry Prize and been published in A Public Space and the landmark Granta 100, amongst others. "Tash Aw's The Face, so wise and so well done, made me with it were much longer than it is."